The bloodiest battle during the medieval history of Ireland was fought on the 19th of August 1504, at Knockdoe, on and around a small hillock about a mile from Lackagh village in County Galway, in the province of Connacht. Gerald Fitzgerald, the 8th Earl of Kildare took on Ulick Finn Burke, the 3rd Earl of Clanrickard. 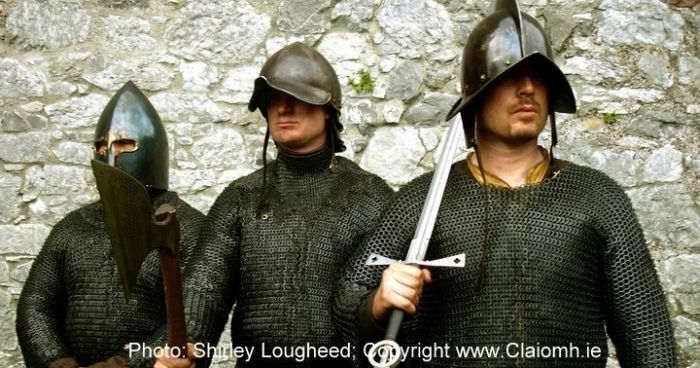 Medieval history of Ireland- Gallowglass warriors with three typical Gallowglass helmets, axe and swords. The highest casualties during the battle of Knockdoe were among these professional warriors. All photos courtesy of Cliaomh. Politics as well as the settling of personal scores between these two powerful Norman lords were responsible for this exceptionally blood-soaked encounter. The place name Knockdoe or ‘Cnoc Tuagh’ meaning ‘Hill Of The Axes’ is derived from the use of Gallowglass axes during the battle which were responsible for much of the carnage. The chief loss of life was among this group of mercenary Gallowglass warriors who were employed on both sides. The Gallowglass were native Gaelic warriors whose ancestors had come from the Hebrides in Scotland. Various sources estimate the casualties anywhere between 4,000 and 10,000, which is unusually high for this time in the history of Ireland. Some historians feel that the loss of life in this Norman in-fighting battle greatly reduced the likelihood of an Irish army mounting serious resistance to English colonial efforts in Ireland for a long time. Both Gearoid Fitzgerald and Ulick Finn Burke were descended from the Anglo-Norman invaders who colonised Ireland in the 12th Century. Like many of their fellows they had both adopted Irish ways and customs, forming marriage alliances with the native Irish and speaking Gaelic, Burke much more so. This phenomenon is referred to as ‘Gaelicisation’ and was very common among Anglo- Normans throughout the medieval history of Ireland. History of Ireland- Battle of Knockdoe. Warrior graveyard underneath cairns on top of the hillock at Knockdoe. All photos on this page were kindly provided by Claiomh who re-enact medieval battles. Henry VII of England had made Gerald his Lord Deputy, to govern Ireland in his absence. The King and Gearoid had plenty of differences in the past, and Fitzgerald was not always entirely loyal. But the pragmatic king made allowances and pardoned him for previous transgressions, recognising the Great Earl’s strength and ability to keep a lid on things with his diplomatic prowess. The Lord Deputy would not tolerate any threat to his power but was reluctant to engage in military action if diplomacy would solve the matter. The main power in a much divided Connacht lay mostly in the hands of the Burke’s of Clanrickard in south Galway and their rivals- the Mac William Burkes who occupied present day Mayo. Fitzgerald recognised the restless and ambitious Ulick Burke as a potential threat and sought to solve the question of Burke’s obedience and loyalty by giving him his daughter Eustacia in marraige. This gesture came after Burke had gone on the rampage in Connacht raiding the O’Kelly’s of the Kingdom of Hymany. Peace reigned for a time, however Ulick soon tired of his wife who returned to live with her father after Ulick apparently mistreated her. 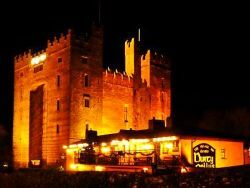 Ulick soon resumed his aggression towards the O’Kelly’s of Hymany, destroying three of their castles, and was now living in open adultery with the wife of Tadhg O’Kelly, King of Hymany. O’Kelly pleaded with the Lord Deputy to intervene, but it was only when Burke occupied the royal towns of Galway and Athenry that he decided to act. He now had the opportunity to avenge the dishonour of his daughter, curb Burke’s power and demonstrate his loyalty to the crown. Read about the Burke's castle at Claregalway, Ulick Burke's residence. Read about the Normans in Ireland, the invasion, their weapons and about Norman castles. Read more about Gallowglasses (coming soon). The lord deputy gathered an alliance. 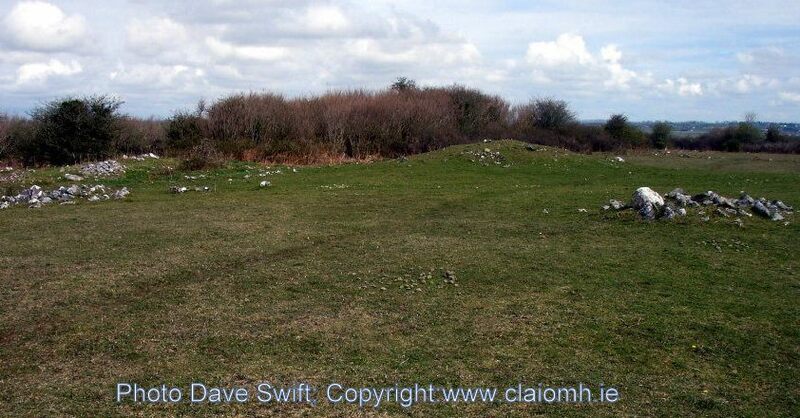 Fizgerald and his allies marched towards Galway, setting up camp on the summit of Knockdoe. His host numbered around 6,000 and consisted of his own retainers and Gallowglasses, English soldiers from the Pale, the O’Kellys of Hymany, the O’Neils and O’Donnels of Ulster, the McDermotts of Moylurg, the Magennises, the Morrisroes, the O’Connors, the O’Reillys and the rival Mac William Burkes, among other various other families. Burke’s forces included the O’Brien’s of Thomond, the MacNamaras, the O’Kennedys and the O’Carrols of Ely and various other warriors from the province of Munster. Both sides would also have included the Gallowglasses employed by their supporters. It was truly an all-Ireland affair, and neither contender had much difficulty in enlisting willing supporters who were keen to settle the old scores resulting from decades of the infighting which had always been part of the culture throughout the history of Ireland. Although they had spent the night drinking and playing cards Burke’s men arrived at the battlefield eager for action. They were, however at a numerical disadvantage. His host consisted of about 4,000 men. They also had to contend with the sun in their eyes while they fought their way up the hill. Fitzgerald’s right flank was protected by a stone wall and his left flank was covered by his many archers who rained down hell on Burke’s men. 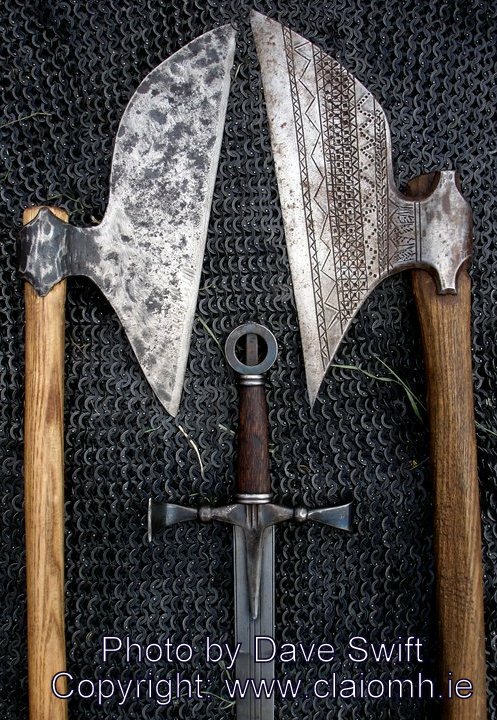 Sparth axes used by the Gallowglasses along with a ringsword. Photo courtesy of Claiomh. One contemporary account describes how the hands of the charging Gallowglasses were fastened to their axes with falling arrows. No doubt Burke’s men fought bravely but in the end they were decimated by the Lord Deputy’s forces. The scene must have been pure hell, the battle cries of the warriors, the neighing and snorting of frightened horses, the clash of steel and the screams and cries of the wounded and dying falling amongst the litter of dismembered bodies, broken spears stuck in the blood- soaked fields. In the chaos Burke’s troops became separated and attempted to re-group along the banks of the Clare river in the townland of Ballybrone. This was the scene of the bloodiest fighting where many of the Burke army lay slaughtered. The battle lasted the whole day and Burke managed to escape with the remnants of his forces. The victors spent the night on the battlefield collecting booty from the fallen and tending their wounded. Although the battle was a rout, the winners had suffered around 2,000 casualties, mostly native Irish and Gallowglasses. The next day Fitzgerald marched on Galway, stopping off to raid Burke’s castle in Claregalway and to take his two sons and daughter as hostages- a common method for ensuring obedience in medieval Ireland. In Galway he presented his men with 30 barrels of wine in thanks. They left after a few days and set off for Athenry which they took with relative ease. The battle of Knockdoe was an important milestone in the history of Ireland. As a result of the defeat Ulick Burke faded into insignificance until he died 5 years later. His rivals, the MacWilliam Burkes would be the main players in the province for a long time to come. English influence now spread further into Connacht and Gearoid Fitzgerald was awarded the order of the garter by King Henry. Local legend has it that the slain warriors were put to rest underneath cairns that were constructed at the top of the hill at Knockdoe. 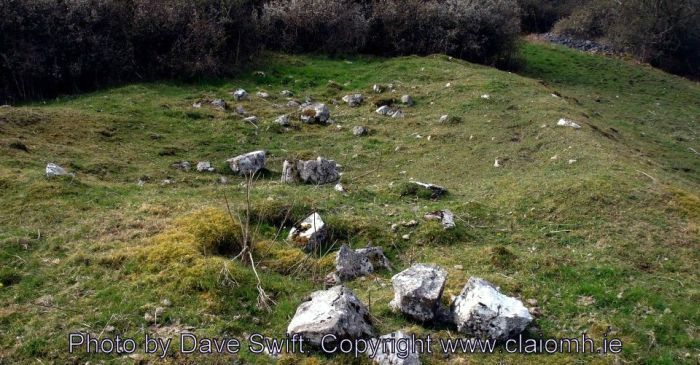 Those cairns, in the photo above, are all that remains today of this bloody episode. In recent years, all Irish battlefields have been granted special protective status. We are looking forward to exciting archeological discoveries at Knockdoe in the future. If you enjoyed our article on this piece of the history of Ireland, please leave a Facebook comment underneath, or give us an FB or Google Plus Like.